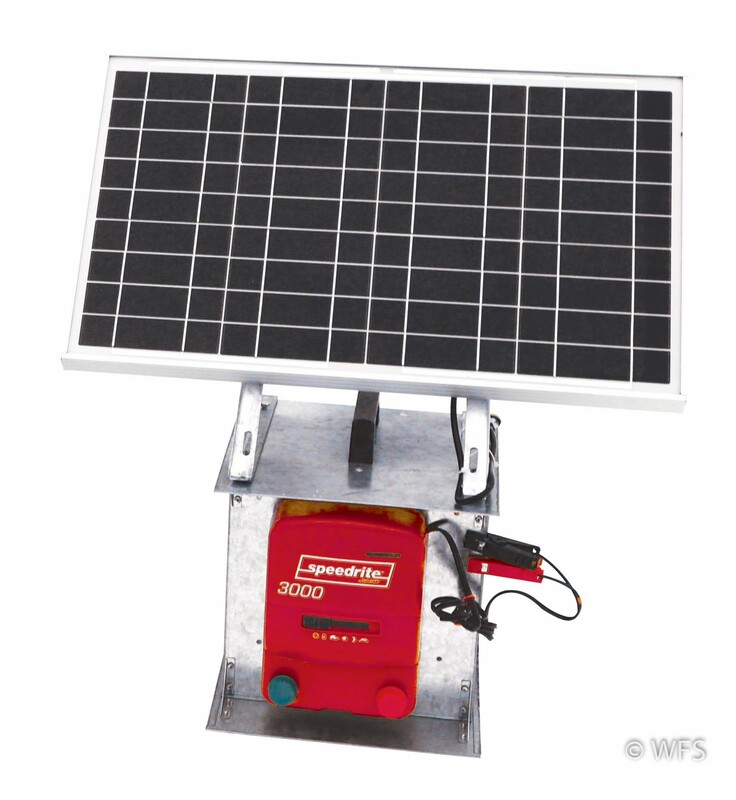 These solar systems are built using the reliable Speedrite 3 joule energizers. Galvanized components with 30-watt solar panel. These solar systems are built using our reliable Speedrite 3 joule energizers. 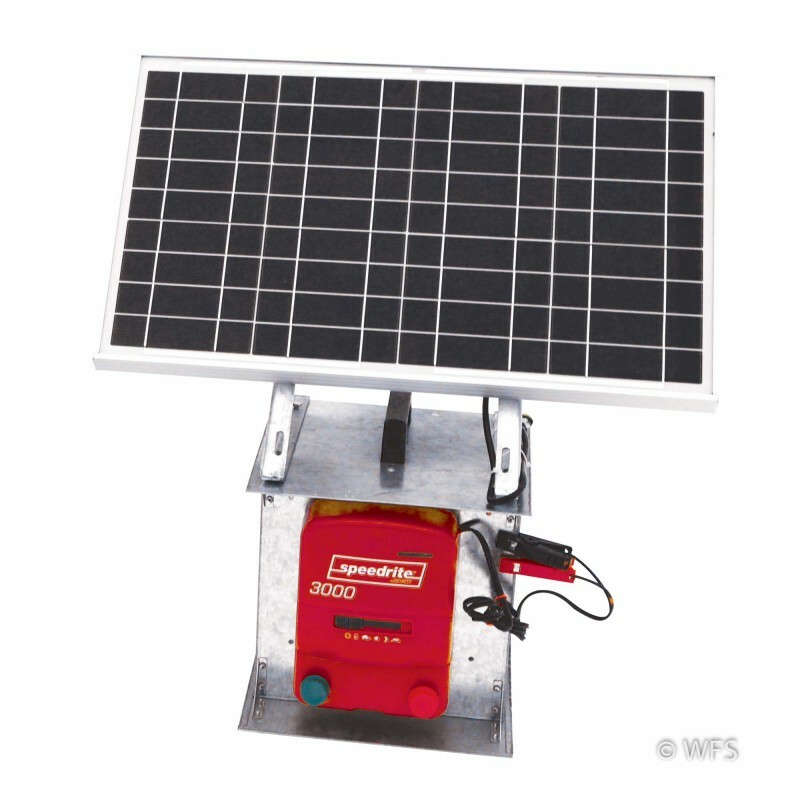 They have all of the features of the energizer, plus a rugged galvanized energizer support box; 30 watt solar panel; solar regulator; and galvanized solar panel mounting brackets. Battery leads and fence leads included. Requires 12 V battery sold separately.